Keith Varney originally trained as a cabinet maker, working on everything from theatre scenery to fine furniture. In 2005 he returned to education seeking a new direction in life, graduating with First class honours in ceramics from Bath Spa University in 2011. Keith set up his studio in 2011 and now exhibits widely across the country. 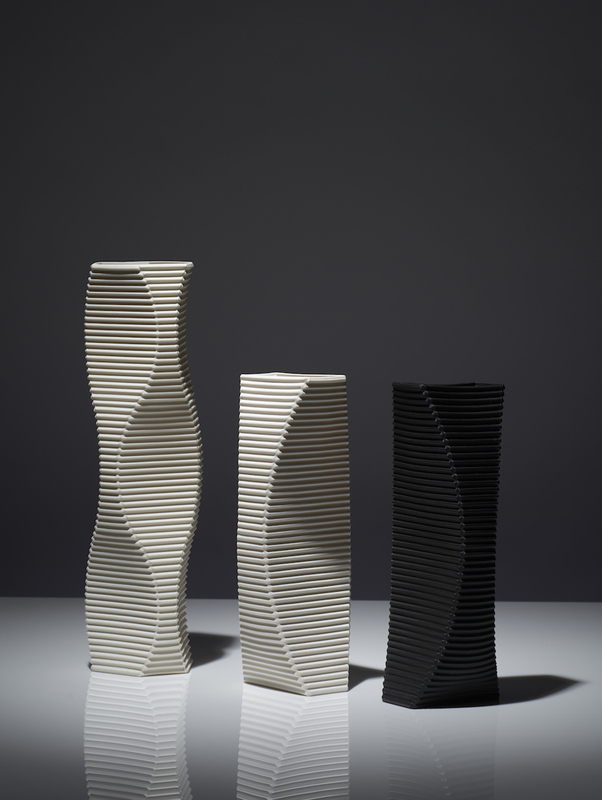 Keith is fascinated by form line and texture, he is inspired by the ways these elements interact with light shade and colour to create his contemporary ceramic sculpture and vessels. 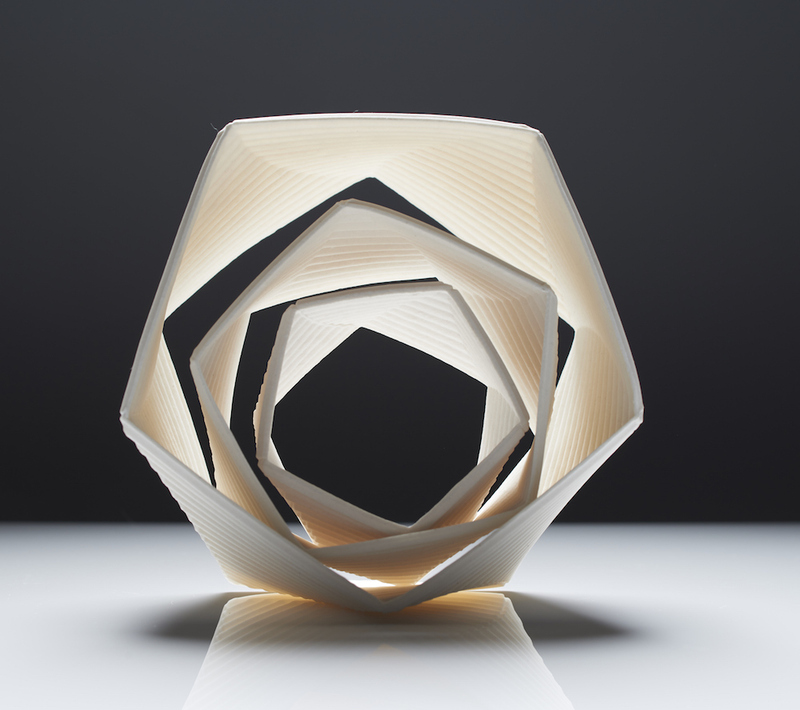 Working in bone china and porcelain the geometric and faceted forms are left unglazed emphasising the translucent white surfaces that are animated by light and shade, creating a sense of movement. 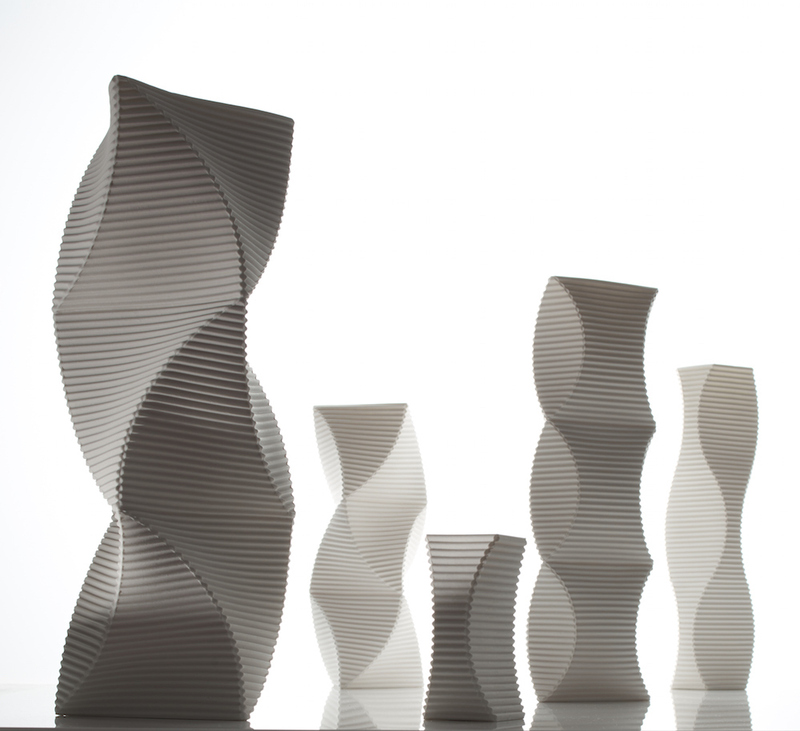 My hand built, folded and constructed objects explore form, line, texture and shade. The interplay of changing light and the viewer’s perspective give rise to a shift in perception of the forms; their translucent nature allows the interiors to reflect a sense of luminosity. Porcelain is a challenging material to work with but the qualities of its surface, its translucency and almost ethereal nature when used in eggshell thin sheets has driven me to investigate its wide potential. By combining elements of slip casting, hand building and origami, I have developed a technique that produces distinctive sculptural objects. I work intensively and methodically, absorbed in processes on the very edge of the material possibilities of porcelain. The objects are then fired almost to the point of melting. This carries some risk but produces a seductive and organic movement of the forms as they are affected by the intense heat.